Beatrice is Scotland’s largest offshore wind farm and, once construction is completed in 2019, will have a capacity of 588MW, enough to power 450,000 homes. The wind farm comprises 86 jackets structures founded on driven piles. The combination of significant water depths (up to 56m), complex geology and a demanding project schedule made design of the foundations one of the most challenging aspects of the project. Sebastien Manceau is a Chief Geotechnical Engineer with over seventeen year experience of working in multi-disciplinary teams across a range of sectors including infrastructure and energy. He is Atkins’ Technical Authority for Offshore Geotechnics focusing on the renewables and oil and gas sectors. He has significant experience in offshore site investigations, development and applications of integrated 3-D ground models and foundation design for offshore windfarms at all stages of projects development. Recent and current work includes the Beatrice, Dudgeon and Triton Knoll offshore wind farms. Andrew Hynd is a Senior Civil Engineer in Atkins’ Offshore Wind business, delivering concept, FEED and detailed design projects since 2013. 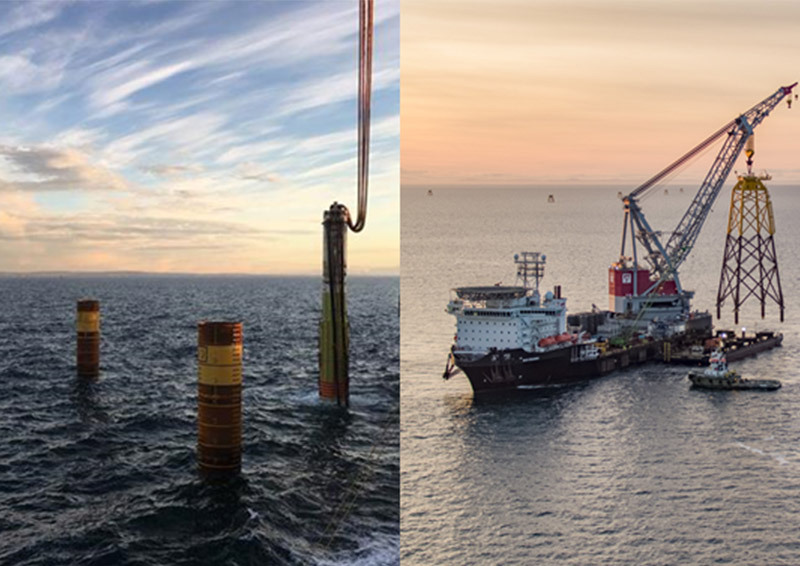 Andrew’s experience lies in primary steel design of both monopile and jacket substructures, with notable projects including the Beatrice, Dudgeon and Triton Knoll offshore wind farms. In May 2017, Andrew won the Innovator Award at Scottish Renewables Young Person’s Green Energy Awards for his work on the Galloper and Beatrice projects.